Perhaps you are finding yourself having the same fight with your partner, over and over in different ways. Maybe you think back on the days of falling in love and just wish you still had those feelings for him or her. You might feel frustrated and hopeless, and you know something has to change. You've tried to work through it on your own, but can't seem to make lasting progress. But don't give up just yet, couples counseling can help. Couples go to therapy for a variety of reasons. Some common reasons are communication issues, frequent conflict, or sexual intimacy issues. Or engaged couples seek counseling as they prepare to take the next step into marriage. Relationships are hard, each person comes in with their own histories, hurts, and expectations. By gaining a greater awareness of yourself and your partner in counseling, you can strengthen your connection and intimacy, allowing you to enjoy one another more and deepen your connection. 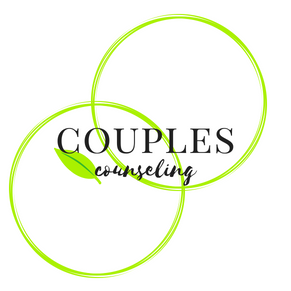 How do I get started with couples counseling | marriage counseling? Contact Liminal Space Counseling today at 651.605.6022, analisa@liminalspacecounseling.com or fill out the form below. We provide couples counseling and marriage counseling at our office in St Paul, Minnesota. Ready to schedule? Use our online scheduler today.